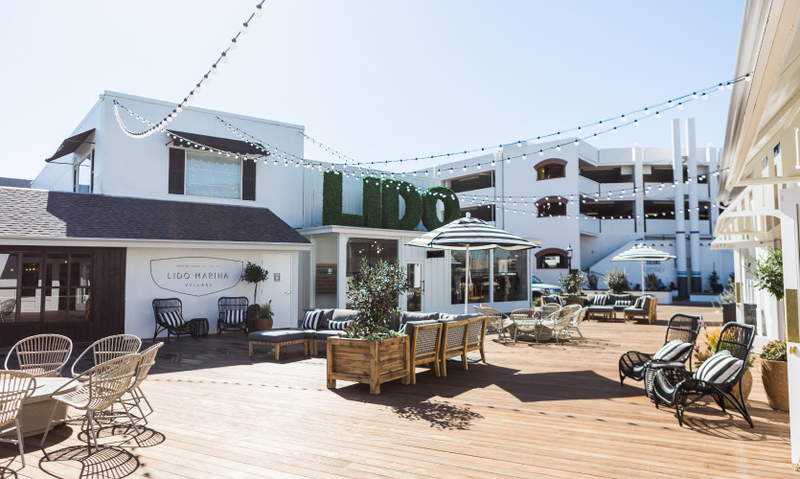 Lido Marina Village was transformed into an eclectic luxury gathering area for the Balboa Peninsula community. The guest experience begins with finding a place to put the car, and RSM Design worked with the client to ensure that the garage was easy to find and navigate, as well as safe and bright enough for visitors. Illuminated signage, as well as more lighting inside the garage creates a more friendly and engaging parking experience for guests. 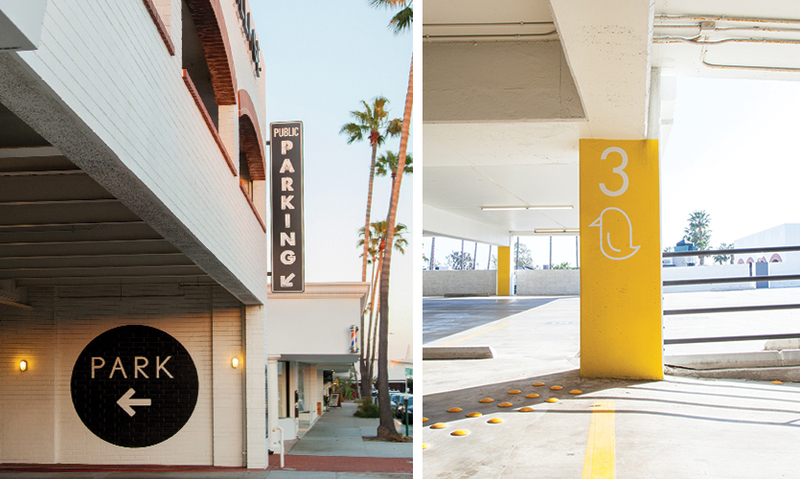 Parking identity signage helps draw visitors driving into the garage, which was previously underutilized and largely unused. RSM Design created a system of colors and icons to brighten up the space and make the complicated garage easier to navigate. The parking garage renovation was a key component of the repositioning of the project. RSM Design’s vision book helped inform every detail, down to the paint colors of the existing buildings and the placement of entry identity signage. 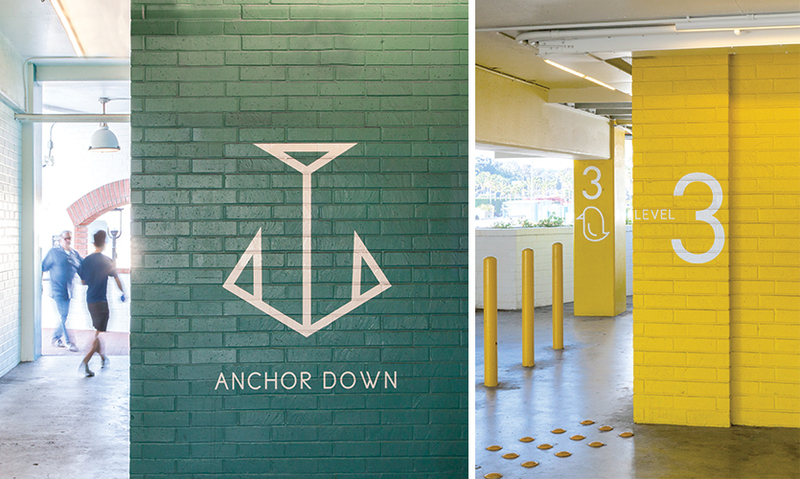 The material palette and shapes of the signage referenced classic Chris-Craft boats. 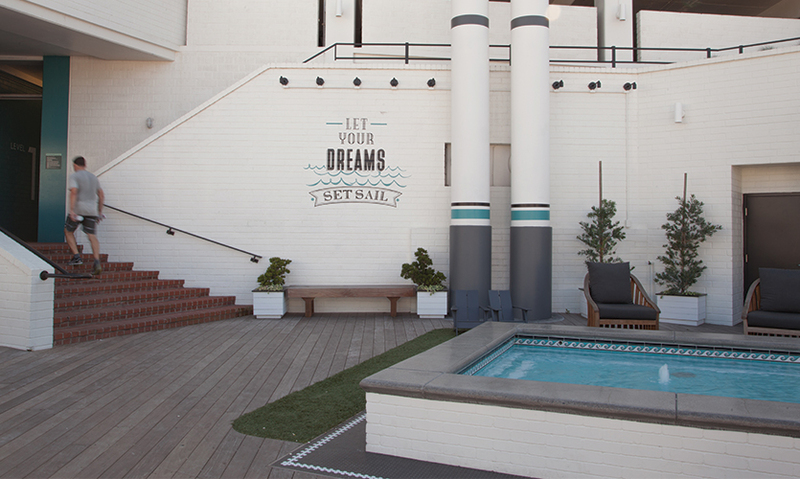 Being so close to the harbor, it felt natural to create a relaxed waterfront aesthetic. RSM Design helped devise a number of “social media moments” throughout the site, including hand painted murals. 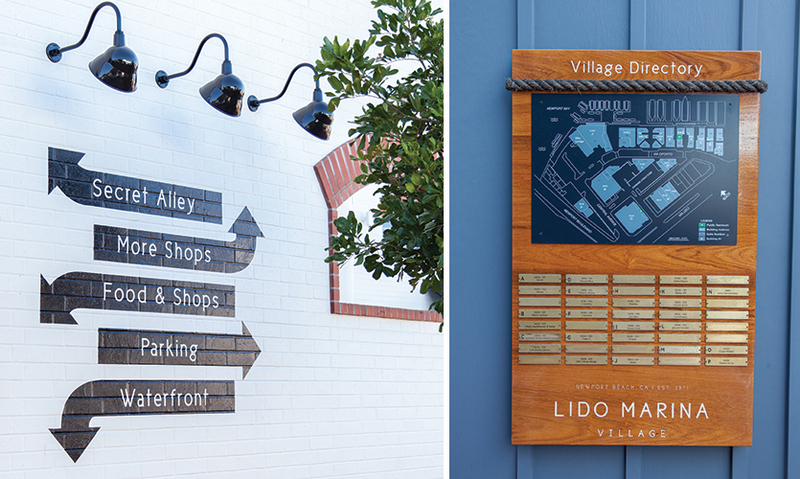 Each key location was evaluated individually to determine the exact size and finish for each sign whether it was a hand painted directional or a wall mounted directory. 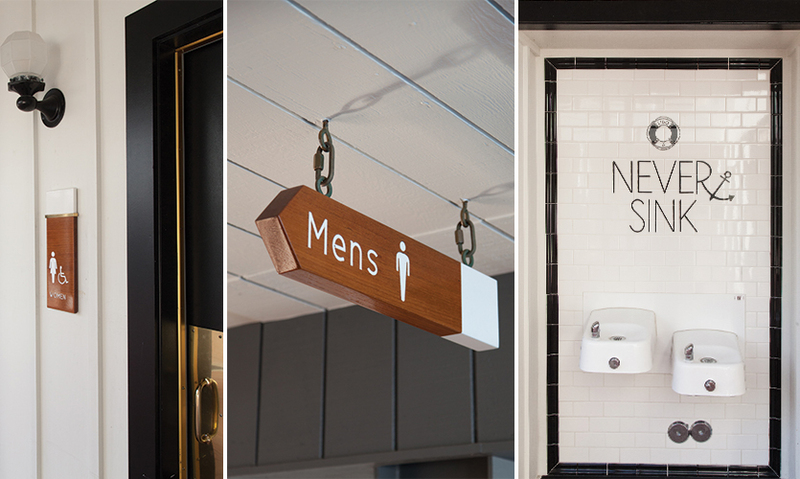 Every sign, down to the restroom signage and wayfinding, was treated with care to ensure the entire project felt cohesive. One solution the team created was to turn an awkward utility area at the opening of the garage into a fountain in which young patrons can sail little push boats. 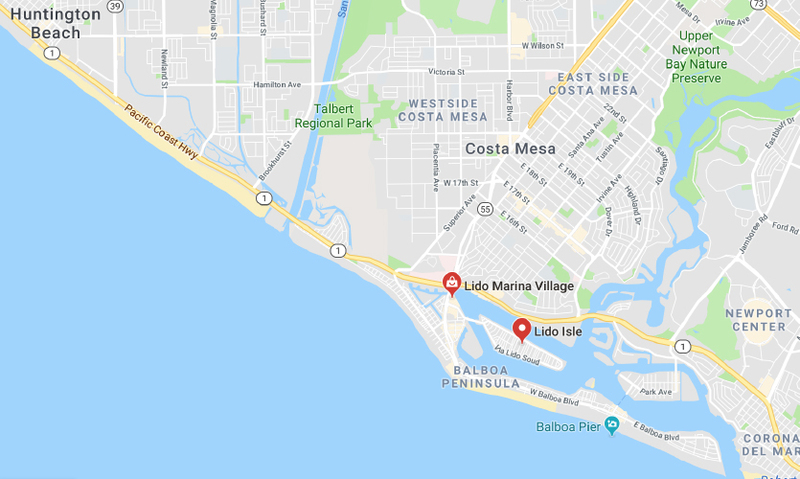 Trendy tenants like Warby Parker, Jenni Kayne, Nobu and Serena & Lily have all taken residence at Lido Marina Village making it a regional shopping and dining destination, but the waterfront locale wasn’t always shipshape, or Instagram ready. Prior to DJM Capital Partners’ ownership, several developers endeavored to successfully transform the site but their efforts fell short, leaving the site uninviting and difficult to access and navigate, which left the city with doubts that any retail development would thrive there. 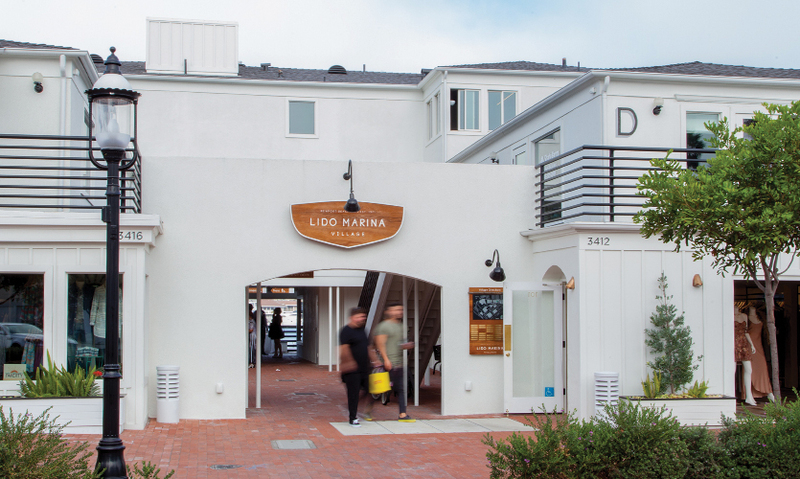 DJM Capital Partners, however, saw the potential to revive the existing buildings and energize the shared spaces in between the buildings and along the waterfront spaces in order to create a gathering space for the community between boutique retail tenants and the waterfront. They brought on collaborators RSM Design and SMS Architecture in 2014 to help bring the project to fruition using a holistic, storytelling-driven approach. 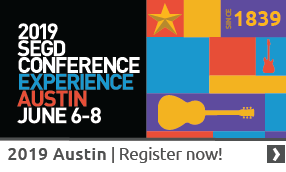 RSM Design was brought on very early in the process of visioning with stakeholders, synthesizing market research analyses with waterfront aesthetics to create an overall narrative for the project, which further evolved into a set of vision guidelines that served to align all the teams working together on the project. All of the teams involved in the project had a singular inspiration source to draw from in that vision book, complete with carefully aligned color palettes and aesthetic enhancements. In addition to serving as branding and vision consultants, RSM Design team’s job was to refresh and fully utilize the existing architecture and in-between spaces through signage, wayfinding and placemaking graphics. 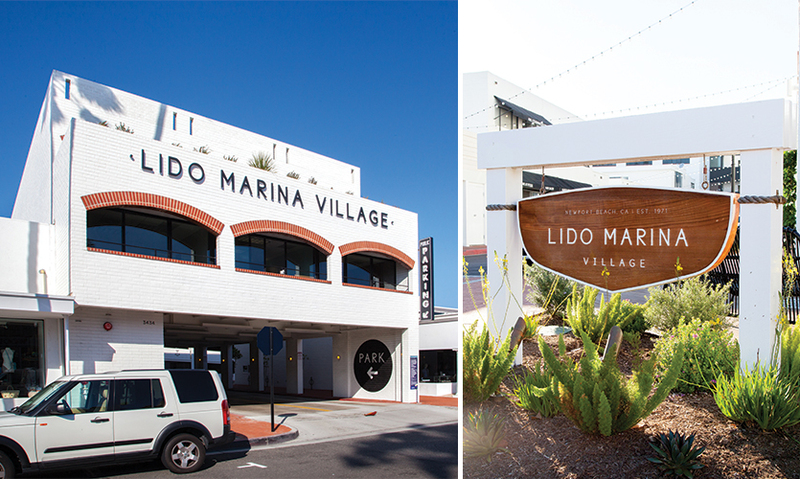 Creating something new, fresh and engaging within the constraints of this existing infrastructure was a challenge; the heavy red brick facades and plastic-looking signage on the existing architectural structures were incongruent with the affluent, easygoing coastal tenor of life in Newport Beach. “The first order of business was painting the structures to unite the dissimilar architectural styles so that the property could be looked at as a whole,” says Schwartz. 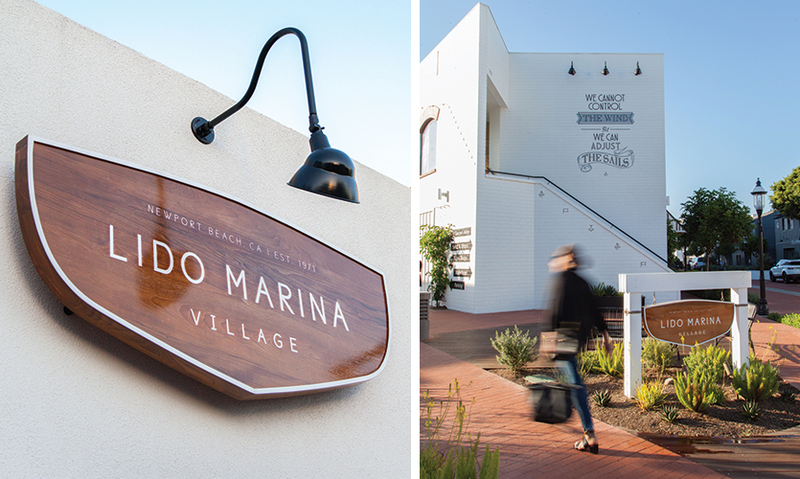 “The client was so committed to cohesiveness, they even offered to refresh the fronts of properties on site that they did not own.” The next step was signage. Given the varying character of the architecture, every sign had to be evaluated individually. 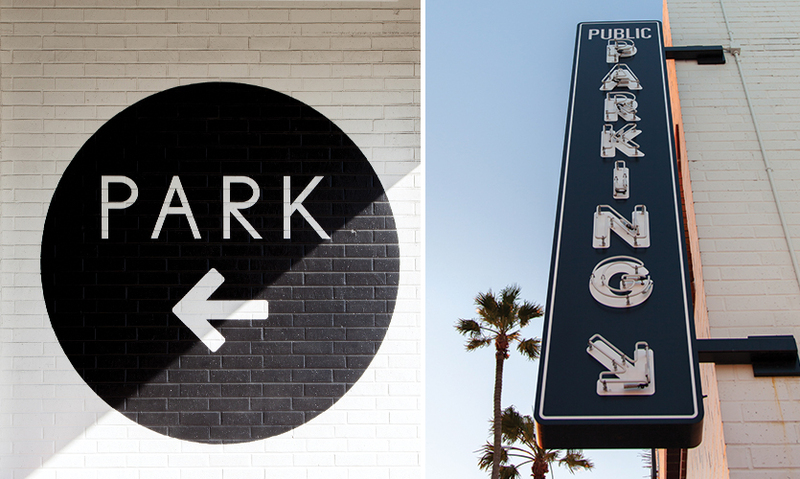 Signage sizes were reimagined; each signage and wayfinding element was suited to its specific surroundings and viewing environment. Larger signage was used at highly visible, identifying locations while more intimate elements were implemented at key interior locations. The design team took great care in studying not only how each sign would work within the context of the overall project, but also how people moving through the space would interact at each touchpoint. 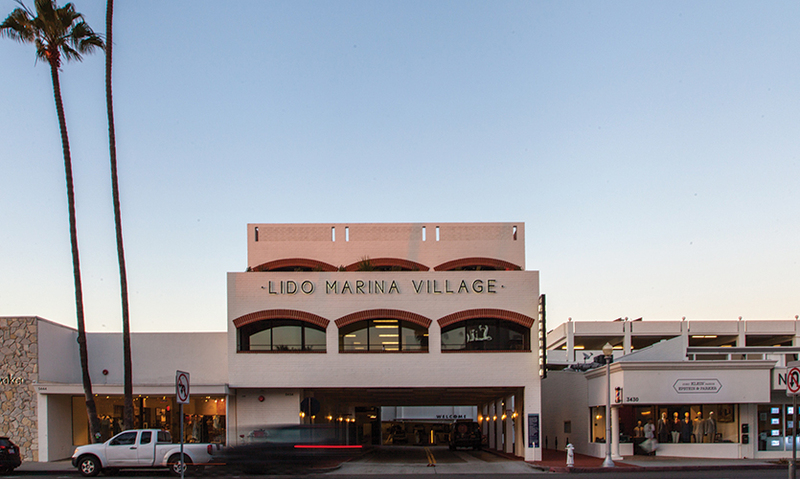 Throughout the revitalization process, the client team worked to cultivate a specific blend of tenants, knowing that the right mix could help boost the Lido Marina Village brand, and vice versa. As new tenants were brought on, the design team worked with each of them to create scale and theme-appropriate graphic and signage solutions. While the new signage and graphic installations were highly visible and impactful, smaller changes like paint colors, updated lighting, seating and hand painted murals throughout the site contributed to a newly evident sense of place. 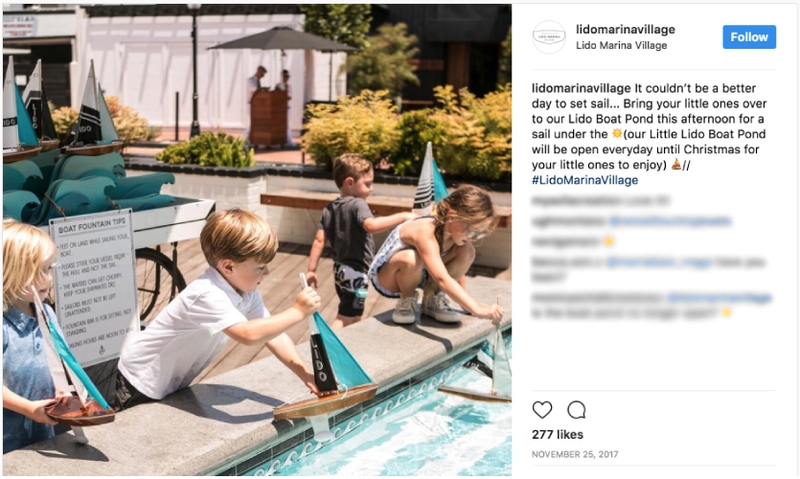 One such solution was to turn an awkward utility area at the opening of the garage into a fountain in which young patrons can sail little push boats (that arrive via a custom-built Lido Marina Village branded cart). 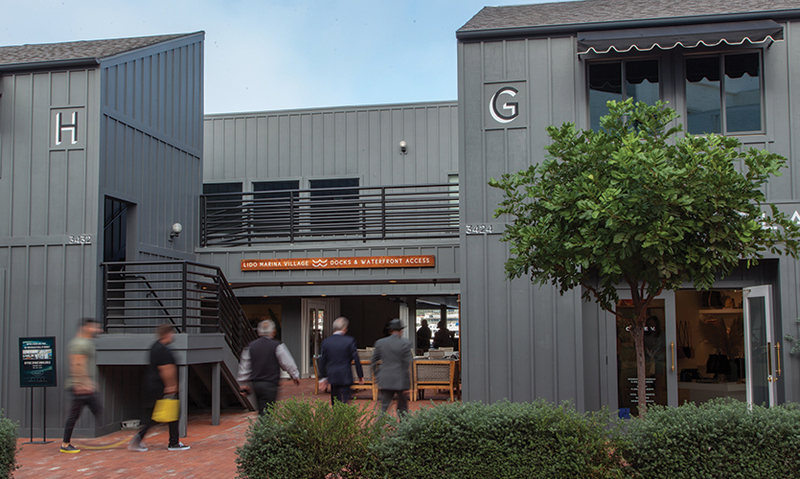 The garage itself was transformed as well, becoming enlivened with colorful, whimsical graphic wayfinding applications. The team designed nearly 30 sign types, in addition to temporary signs and barricades. Temporary graphics were lighthearted, with messages such as “Smooth sailing never made for a good sailor. Pardon our dust.” These quirky messages quickly became a bigger part of the branding, as some were chosen to be permanently hand-painted onto the windows and walls—becoming highly “Instagrammable” moments. They thoroughly planned every “Instagram-worthy” photo op, from the visible branding and viewing angles to the artificial lighting and movement of the sun. Pedestrian and vehicular traffic and the speed at which the “moments” would be viewed were also taken into account. 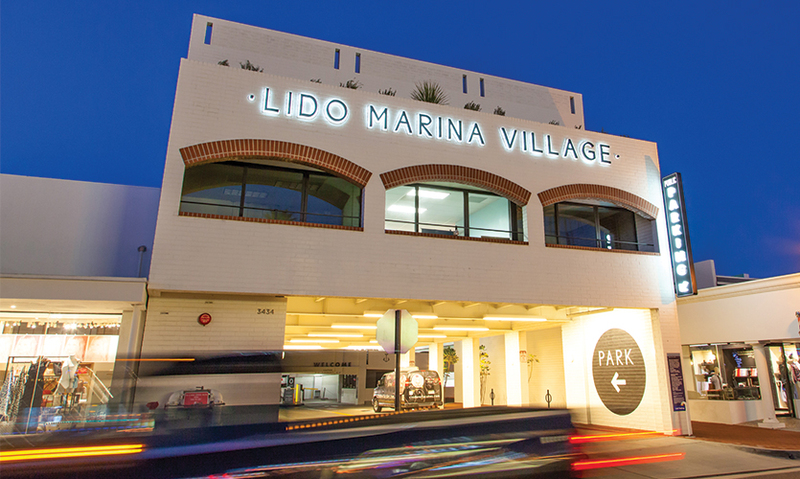 The social media success of Lido Marina Village reflects the realization of DJM Capital Partners’ physical ambitions for the property. It stands as a completely unique retail project because of the location and its non-traditional development strategy. The goals of repositioning the space as both a sophisticated retail destination and a casual place to gather were seamlessly achieved by the client and design teams, attracting full tenancy and ultimately leading to widespread community approval.